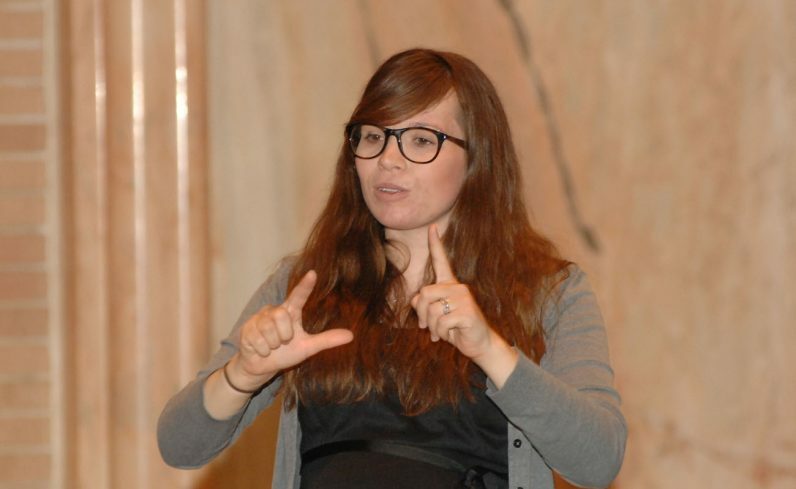 Sarah Cardie Leopold translates the prayers, readings and hymns of the Mass into American Sign Language. Father Edward Hallinan, pastor of St. John’s, preaches the homily. 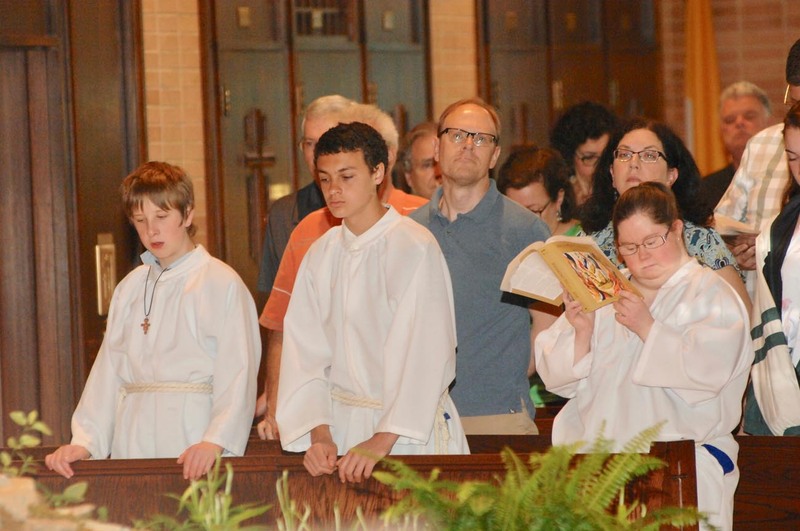 Altar servers including Jessica Clark, right, participate in the Mass. 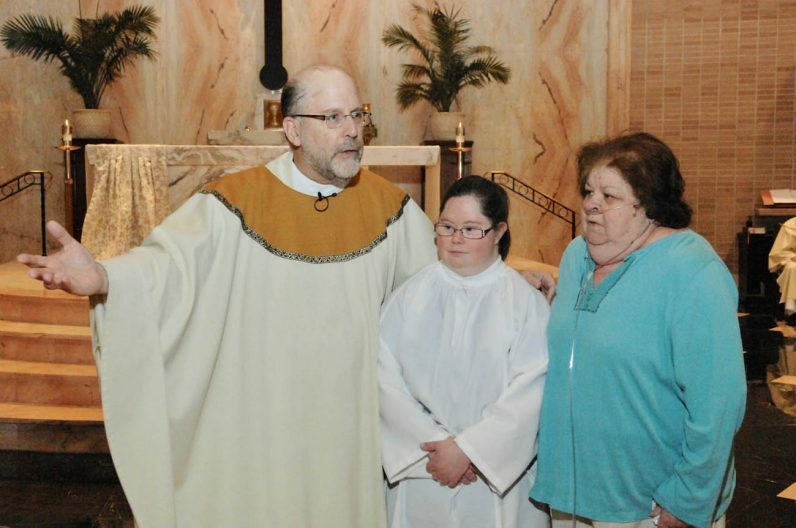 Father Edward Hallinan recognizes the service to St. John Chrysostom Parish for 25 years of altar server Jessica Clark, and her mother Joann. 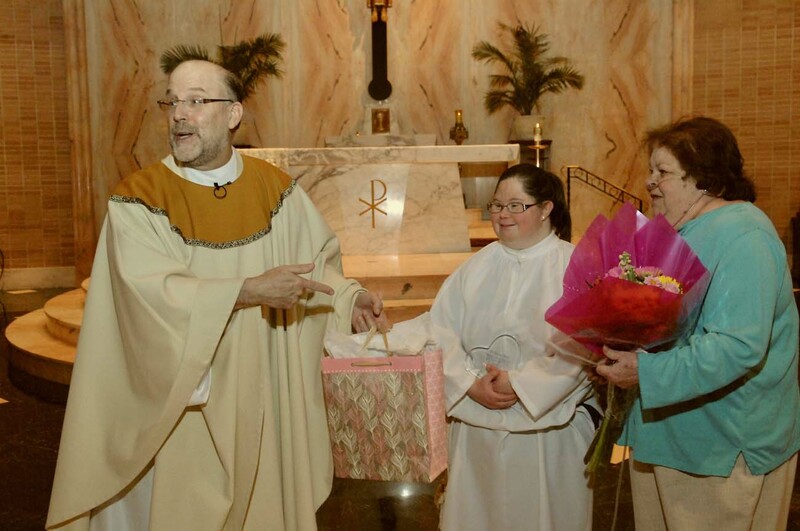 The Clarks receive gifts and the applause of their grateful parishioners and pastor. 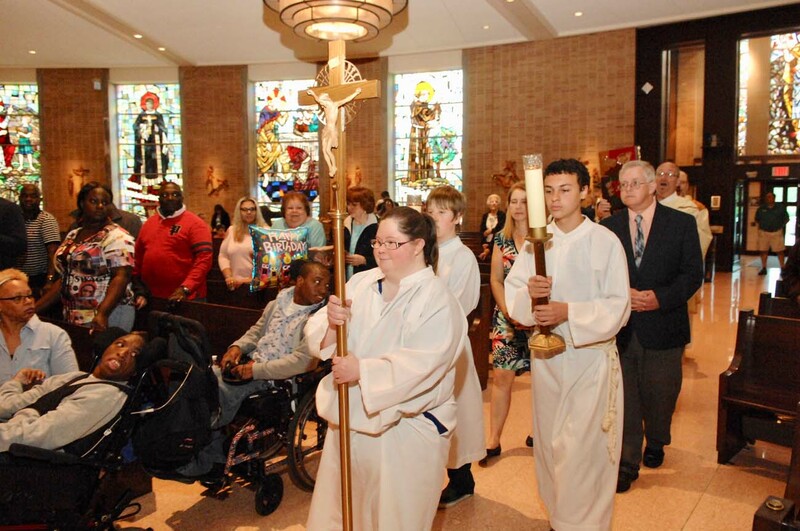 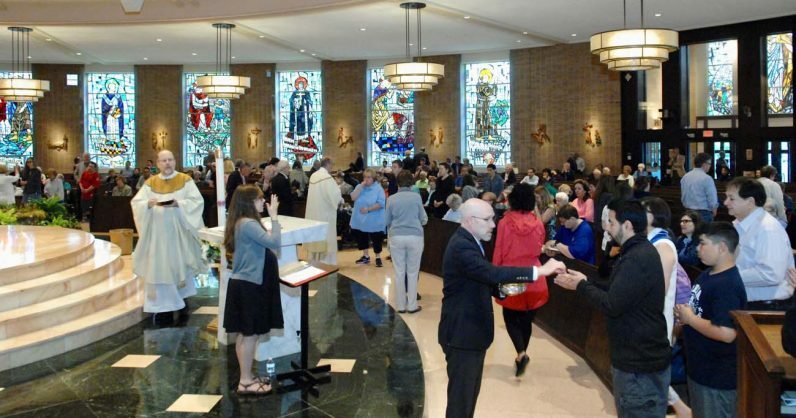 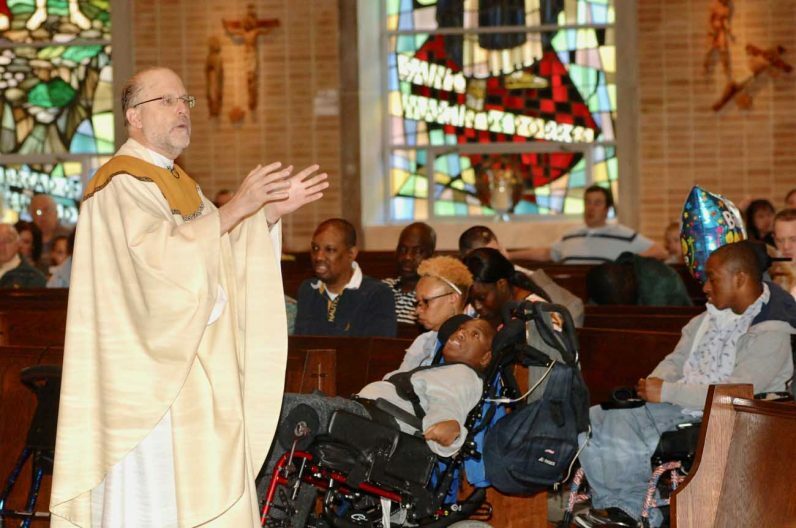 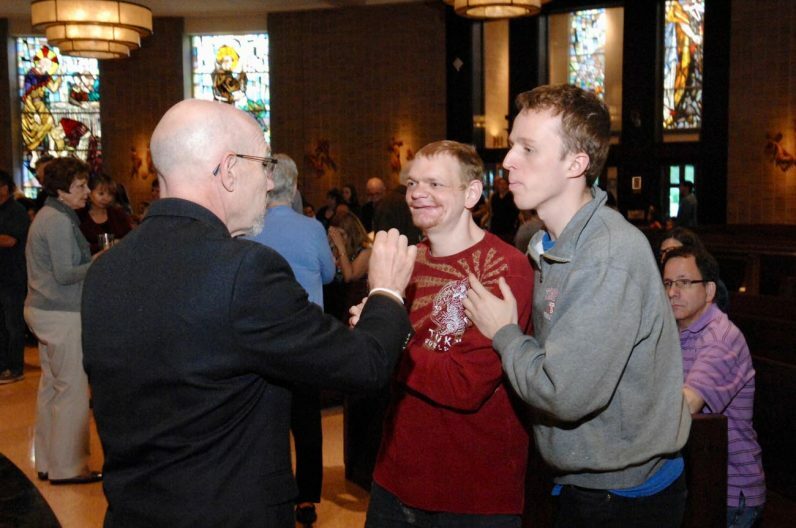 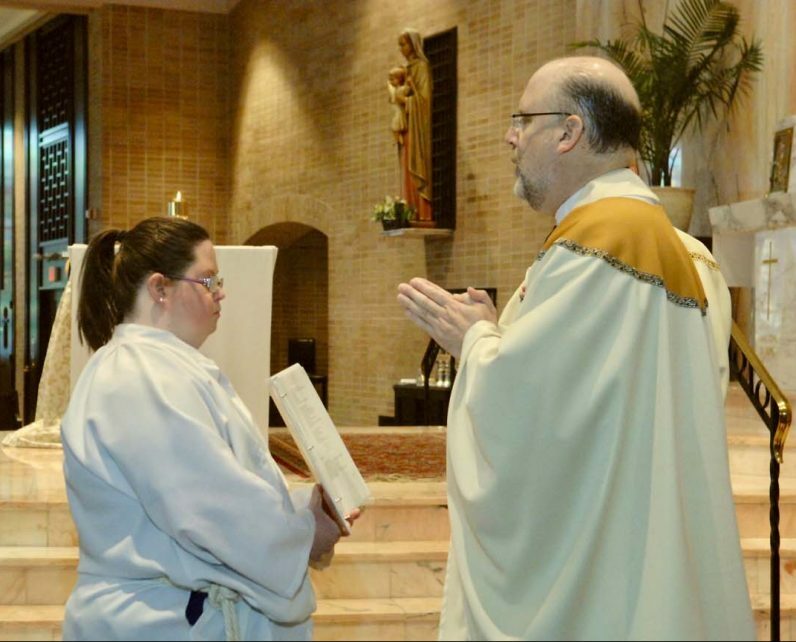 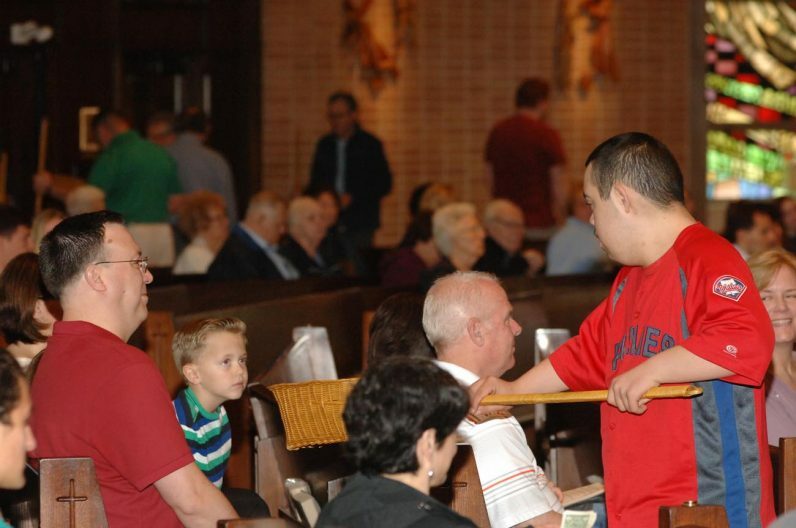 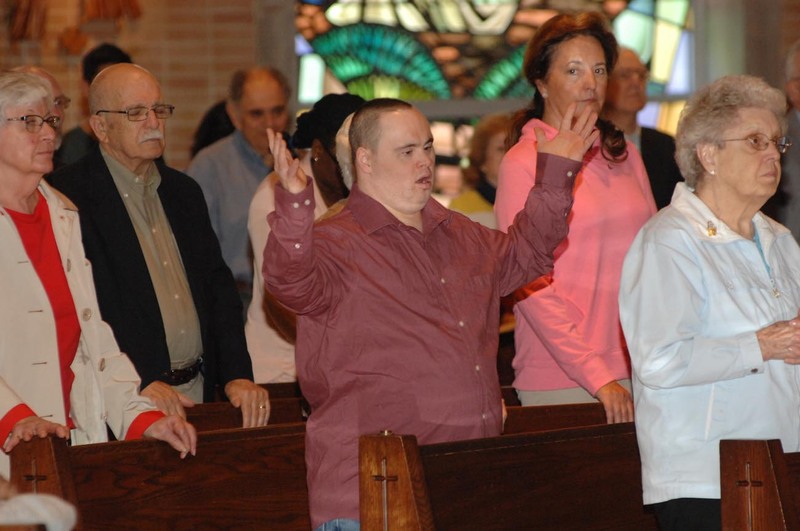 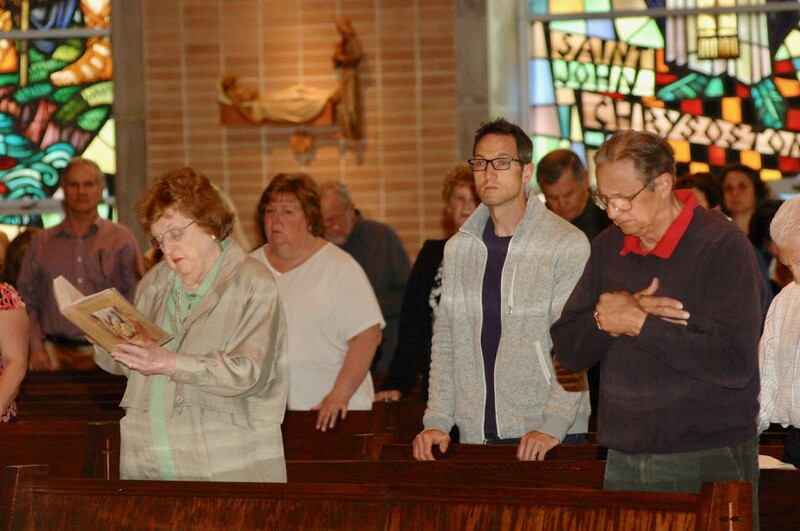 St. John’s hosts a monthly Mass for persons with disabilities and their caregivers, and includes them in roles of service at the Mass, which also features translation of all spoken elements into American Sign Language.